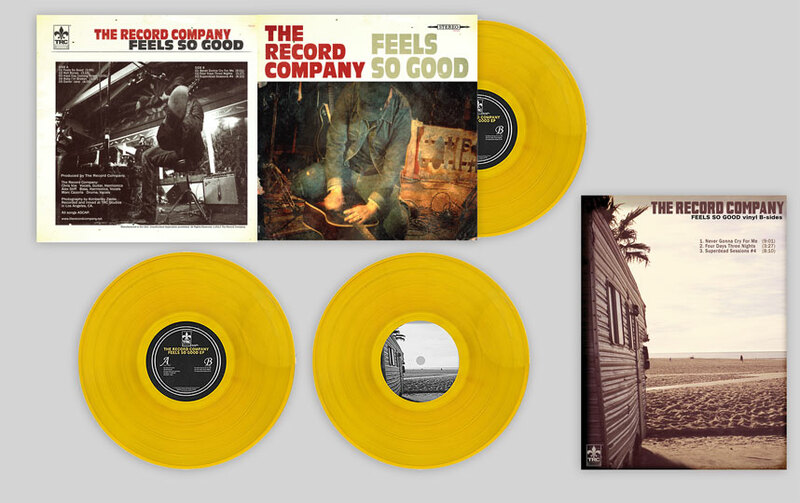 Feels So Good EP is the 2nd EP release from LA blues/roots trio The Record Company and their first release on Kill/Hurt. This limited edition vinyl release expands the original 5 song set with an ultra-rare B-Side containing 3 unreleased, extended-length jams recorded by the band specifically for late-night listening sessions. The first press is limited to 500 hand numbered records on transparent-gold 180-gram vinyl. It also comes with a free, limited edition 18×24 color poster inside!